In-house slurry acidification. Photo: Kamila Mazur. Denmark is leading the way in minimizing nitrogen losses from livestock production. The country has implemented a nutrient bookkeeping system and has stricter measures for eg. Nitrate directive implementation than most other EU countries (see i.a. 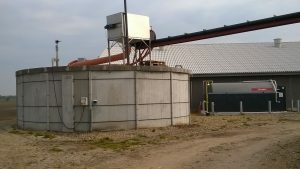 a report from the Baltic Manure -project). Focus on nitrogen in Denmark’s environmental policy is founded in the fact that all of her territory is designated as Nitrate Vulnerable Zone under EU’s Nitrate Directive. One of the methods introduced to reduce nitrogen losses has been slurry acidification. Initially it was developed as a technology to reduce ammonia emissions from livestock housing systems. First measurements of effects on slurry acidification were done already in 2002. As Denmark has been a pioneer of the method, the international conference on slurry acidification organized in 2016 by the Danish Environmental Protection Agency well consolidated relevant information on the subject. The excellent presentations from the conference are available here. A review done by SEGES provides a glance into the current magnitude of slurry acidification in Denmark. In 2014, 18% of annually produced manure was acidified, over 75% of this as an alternative to soil injection of manure on grasses and autumn crops. There are 6 approved Slurry Acidification Techniques (SATs) in Denmark, 2 for each of the SAT methods (in-house, in-storage and in-field) and over 30 companies providing slurry acidification as a service. There are over 140 in-house, 75 in-storage, and 110 in-field plants in Denmark by now. The SEGES report in English and other languages can be accessed here. In summary, the attractiveness of slurry acidification depends on the prevailing regulatory environment on nitrogen. Currently in Denmark these limit nitrogen application below the optimum, which makes it attractive to try and get more nutrients for the crops out of the applied fertilizer. For the farmer, the benefits of the measure are realized through 1) increased yield without having to (against the norms) over-apply nitrogen (thus savings) which, according to the studies, can be 7-18kg in saved nitrogen per hectare with corresponding yield increase of 110-270 kg crops per ha. Other benefits are possible cost savings as an alternative to soil injection of slurry, saved sulphur and possible increase in the crops protein content. In the best case with optimal fertilization, the costs of slurry acidification are compensated by the increased yield and the farmer will enjoy direct savings in the prices of nitrogen and sulphur. 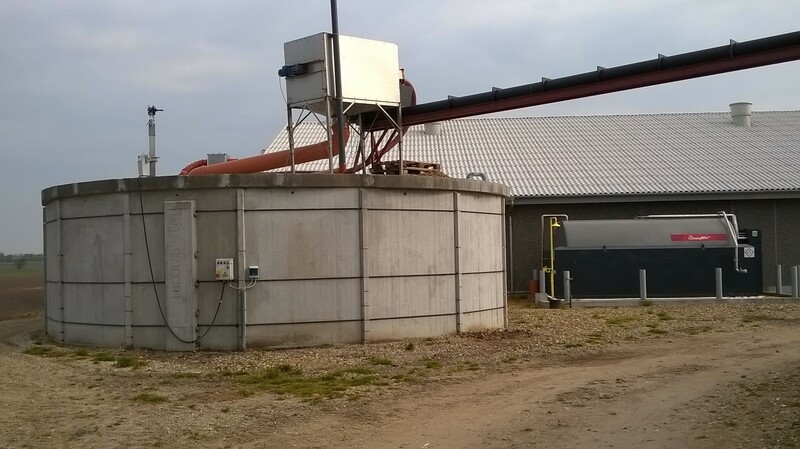 For the society, the benefit is reduced ammonia evaporation, which was assessed to be between 40-70% lower than without acidification during different phases of the manure handling cycle.